For an incredibly realistic smile makeover, try Dental Implants. 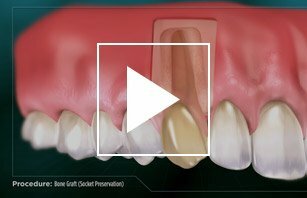 When it comes to replacing missing teeth, many people wonder which tooth replacement option is best for them. 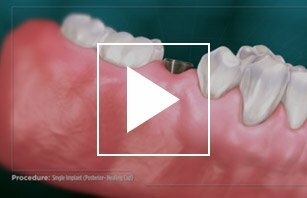 Although many are tempted to opt for inexpensive dentures or partial bridges, modern dental implants offer an unparalleled level of convenience and aesthetics. Here are just a few benefits of Westchester dental implants over other options, and why you won’t regret your decision. Westchester dental implants are the permanent, easy to care for solution for missing teeth. Contact your Westchester implant dentist today. If you opt for dentures or partial bridges, you will be faced with the hassles of daily cleaning, sanitizing, and maintenance. In addition to taking time out of your day, scrubbing your dentures can also put them at a higher risk of being dropped, leading to expensive repairs. On the other hand, since dental implants are anchored into your natural bone, they stay in place firmly and are easy to brush and floss. Your jaw tissue needs stimulation from a tooth root to stay healthy and strong. Unfortunately, when teeth are lost, the bone loses this stimulation and starts to recede. Dental implants in Westchester recreate this natural stimulation, protecting the bone and the rest of your teeth. 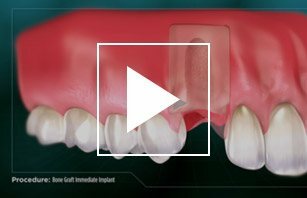 In addition to keeping your teeth from spreading to account for the space, dental implants protect your jaw and face shape. Nobody wants people to know that they are wearing dentures or a partial bridge, which is another great reason to opt for dental implants. Westchester dental implants are designed with materials that look incredibly realistic, mimicking the appearance and opacity of the rest of your teeth. Even the best set of dentures can become displaced during eating or talking, which can affect your confidence when you are in public. However, since dental implants eventually fuse with your natural bone, they will remain in place firmly during talking, eating, or laughing with friends. Most people don’t realize it, but because dentures don’t protect against bone loss, they have to be refitted or replaced every few years. Over time, this expense can really add up. However, dental implants in Westchester have been shown to last a lifetime, which means they are a cost effective solution to tooth loss. Because dental implants stay in place firmly, you won’t have to worry about avoiding crunchy foods or chewy whole-grain breads. Without food restrictions, you can maintain a healthier diet. Unlike other dental procedures, receiving dental implants in Scarsdale is more of a process than a singular event. 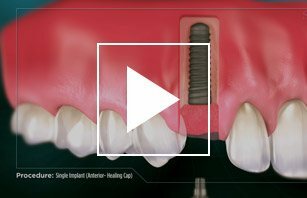 Here is a little more information on the process of receiving dental implants, and how your dental implant surgeon in Westchester will move things along. Before you are considered for dental implant surgery, our clinicians will want to meet with you to see if dental implants are right for you. Your Westchester dental implant surgeon will carefully evaluate the current health of your teeth, gums, and jaw tissue to determine which steps they need to take to place implants safely. During this consultation, the doctors will also talk with you about what to expect and answer any questions you might have about the procedure. You will also be asked to fill out a medical history form to see if you are eligible for the procedure. Depending on your oral health and history, Westchester dental implants placement can take anywhere from six months to a year to complete. One of the most critical inspections during your initial dental implant appointments is to determine the health, density, and depth of your jaw bone tissue. Since dental implant posts fuse with your natural bone, they can’t be placed in an area that isn’t strong enough. You may have weak, porous, thin, or shallow bone tissue. If that is the case, you may need preparatory procedures such as sinus lifts or bone grafting before implants can be placed. Sinus lifts are designed to add more depth to the bone on your upper jaw, while bone grafts can be used to bolster jaw tissue throughout the mouth. If you need either of these procedures, you may need to heal for 2-3 months before we can place posts. 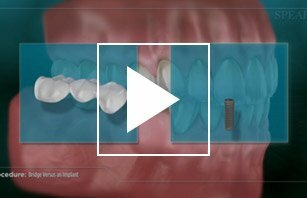 When the area is completely healed, your implant surgeon will place the titanium posts. To install these posts, the dental implant surgeon in Westchester will start by using a powerful anesthetic to numb the entire area. After making a small incision through the gum tissue, the post is placed into the bone. After the post is in place, the area needs several months to heal before it is strong enough to support a crown. After the area has healed, we will put the final crown in place. 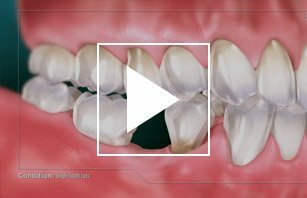 The implant dentists in Westchester will have the crowns designed to match the rest of your teeth, which create a natural and beautiful appearance. 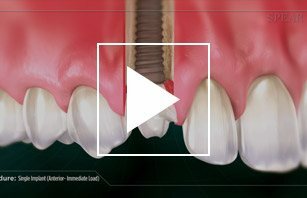 Crowns are cemented to an abutment that connects to the post, and since healing has occurred along the way, you will be able to talk and eat normally as soon as the anesthetic wears off from the appointment. If dental implants in Westchester sound like something that would work for you, don’t hesitate to make an appointment today. Advanced Dentistry of Scarsdale offers a team of professionals that is completely dedicated to your oral health and self esteem. Our expert prosthodontists and periodontists have undergone years of additional training to understand the delicate mechanics and science behind implants, improving your results. Schedule your Westchester dental implant consultation to see what they can do for you.